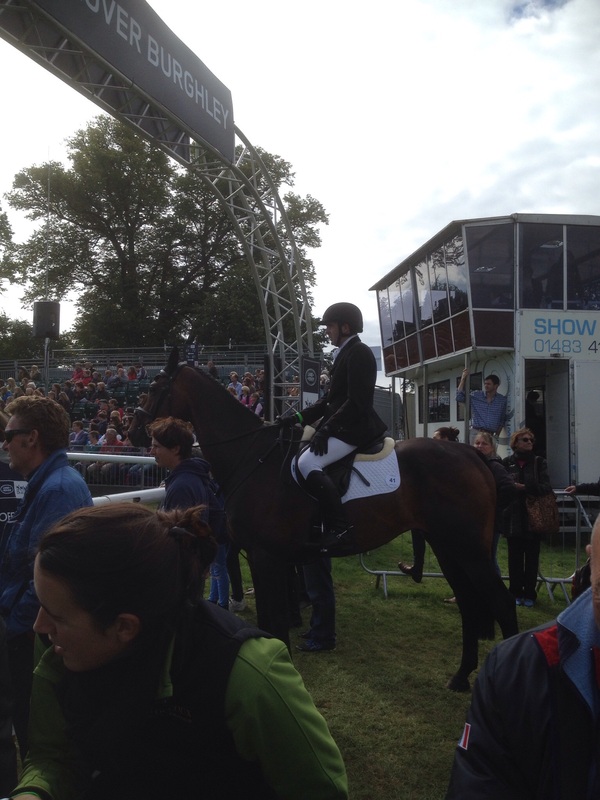 Had an amazing weekend at Burghley Horse Trials being part of the back up team for Louise Harwood. I love being behind the scenes at a major 3 Day the atmosphere is electric, there is so much to learn and see. Mr Potts had done a personal 4* best in his dressage and Whitson hadn’t scored quite his normal mark, he went into his shell and didn’t quite have his usual wow factor, he’s very laid back so no one was too concerned. Mr Potts was awesome XC just pinging and jumping. He was so fresh 3/4 of the way round that at the Discovery Valley he spooked at something on the approach to the fence, this upset his concentration and also his stride pattern resulting in a scramble through the brush. This meant Louise was slightly unseated & couldn’t get to the 2nd part, an annoying 20 penalties. Louise still returned thrilled to bits with him though, she had an amazing ride. Whitson wasn’t his normal self over some of the XC fences, he is naturally a laid back chap who needs motivating, Jackies instructions to Louise were to not let him doze off!! Despite Louise’s best efforts Whitson would jump a few fences well, but then creep over one and then jump a few well, then creep over another. Eventually Louise decided to retire him. Back at the stables he was checked over by the veterinary team and Jackie had a blood test taken, it’s not like Whitson to be phased by atmosphere XC so maybe something wasn’t quite right with him. That evening Whitson’s owners, Roy & Emma, had organised a delicious Barbecue with a selection of meats, dips and salad. It was time to discuss the numerous ups & downs of XC day. On Sunday Mr Potts SJ really well with just one pole lowered, I stayed to watch Worcestershires local rider Alan Nolan Show Jump. It was his first Burghley and a clear XC is such an amazing result for him as he’s not got a huge team of horses. Alan sells Gain Horse Feeds for a living the same feed used by Louise. I noticed many of the riders at Burghley were feeding Gain Feeds this year. Then it was home time, I had horses to ride at home although I did manage a teeny bit of Burghely shopping before I left! 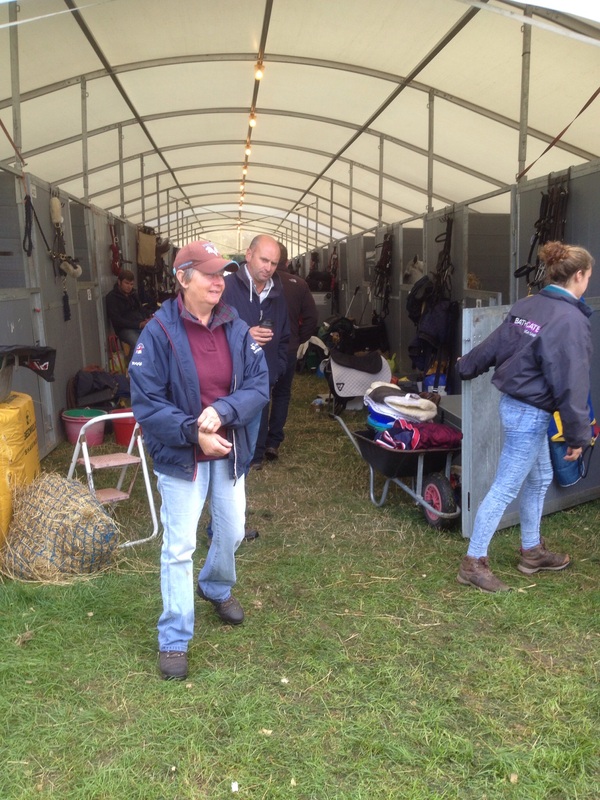 Alan Nolan waiting to enter the Show Jumping arena. That horrible nervous moment when you realise a few show jumps lie between you and completing the biggest event of your life!